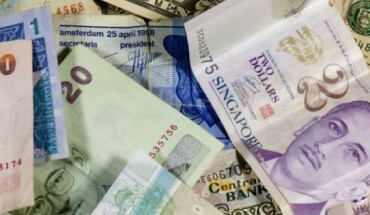 Could the language barrier actually fall within the next 10 years? The origin of music is often related to an explosion of the cognitive capabilities of Homo sapiens 50-60,000 years ago: paintings, ornaments and burials are clear evidences from that moment. 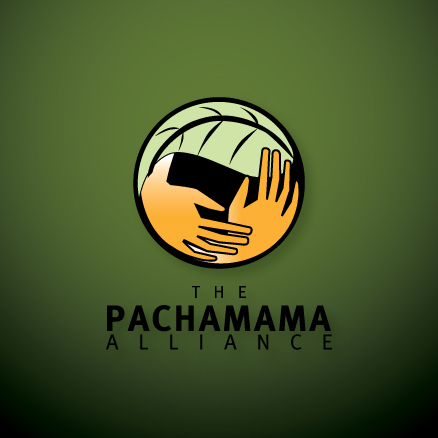 As part of other artistic and symbolic expressions, music contributed to the maintenance of larger social networks and the expansion of modern humans. What are the oldest evicences? 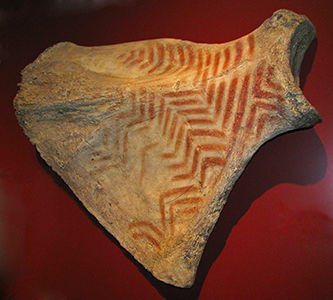 The oldest evidence may be found in the archaeological site of Mezin (Ukraine): a set of mammoth bones (scapula, femur) painted with red ochre and a reindeer antler hammer, with signs of repetitive surface damage on all of them. 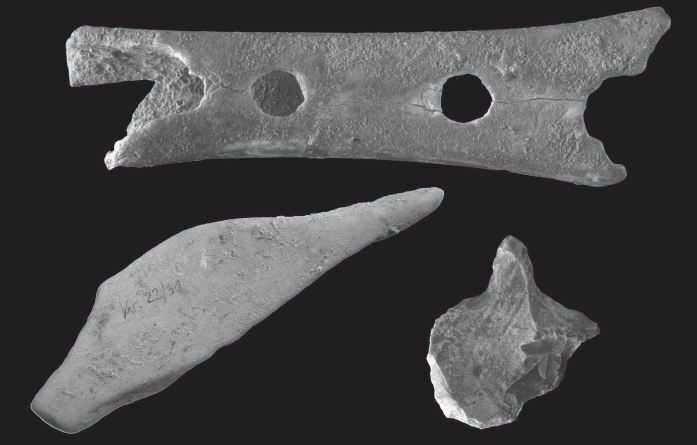 Some interpret these bones as musical instruments. They are dated to 24 Ka. The organic materials are not preserved so the only ancient clues are found in rock art, like a sorcerer with a musical bow in the Trois-Frères cave (France), dated to c. 13 Ka. 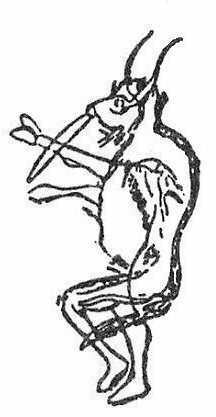 However, some authors consider that the sorcerer actually holds a flute. The actual oldest piece is a plucked string instrument known as the ‘se’, dated to 2,700 years old, found in the Chinese province of Hubei. That was a board instrument fitted with 25 strings of twisted silk, which was used by the elite in rituals and sacrificial offerings. Only half of the base was recovered but showing clear evidences of the holes for the strings. At the same site, some rests of a percussion instrument called ‘bianzhong’ were found: a 4.7 m frame for housing bronze bells plus seven bases of the bells. 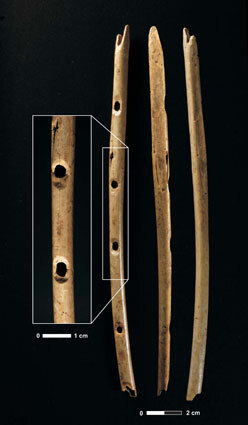 Two flutes dated to the Early Aurignacian 42-43 Ka, published in 2012. One was shaped from a swan’s ulna bone. It is 12 cm long but thought to be 17 cm long originally. It has 3 holes and produce 4 notes. 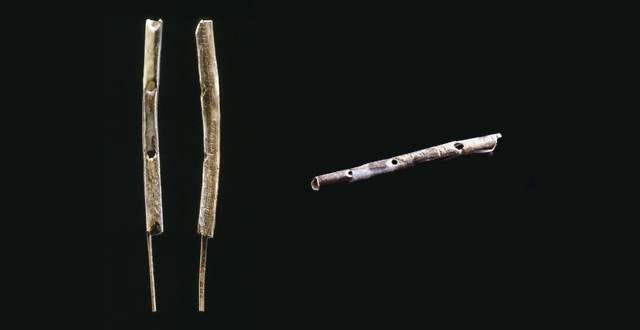 The other flute was shaped from ivory. They support the hypothesis that the Danube River was a key corridor used by humans coming into central Europe before expected. One flute found in 1995. 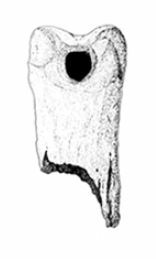 It is a fragment of the femur of a cave bear, pierced with three spaced holes. Age 40 Ka. A different hypothesis says the holes lack tool marks and instead were made by an animal chewing. However, the separation between the holes is singular and the instrument can produce diatonic sounds. 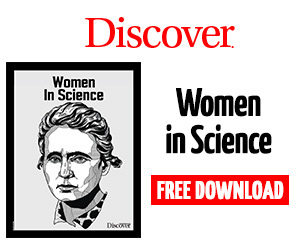 Only a few weeks after publishing the famous oldest European ‘venus’ figurine from Hohle Fels cave system, various fragments of flutes from the same system were discovered in 2008 and published in 2009. Age between 35-43 Ka. One of them was successfully rebuilt almost entirely from 12 fragments. It is 21,8 cm long and was made with the radius of a griffon vulture wing. It has 5 holes and a V-shaped mouthpiece with 2 small clefts. 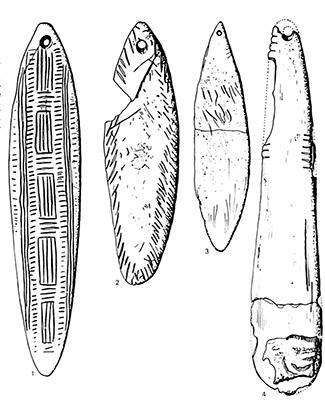 Other small pieces were found at Hohle Fels, very fragmented but likely belonging to two other flutes. A third piece was found in the nearby site of Vogelherd. All of them are made of ivory, which requires much more effort to shape than bird’s bones. A phalangeal whistle was found in an Aurignacian level, dated to 30-34 Ka. Also from this cave is a fragment of flute from the Magdalenian period. 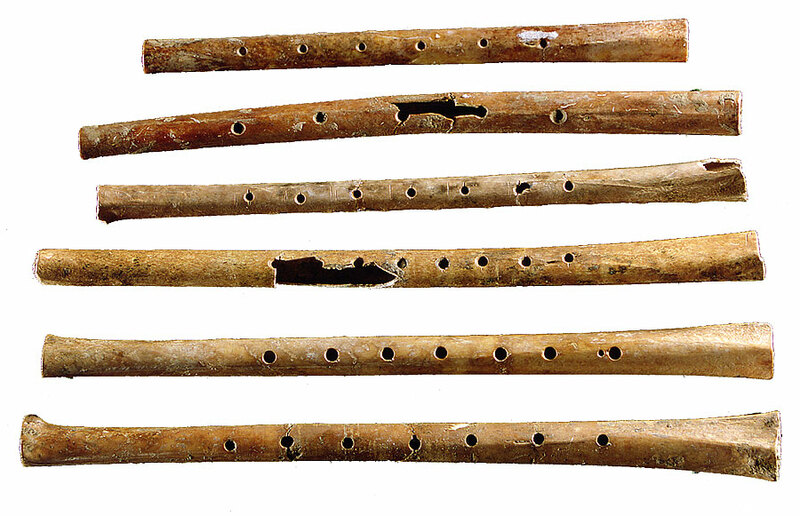 22 fragments of flutes made from swan wing bones, 8 of them are quite complete. They were published in 1991, dated to between 26-32 Ka. 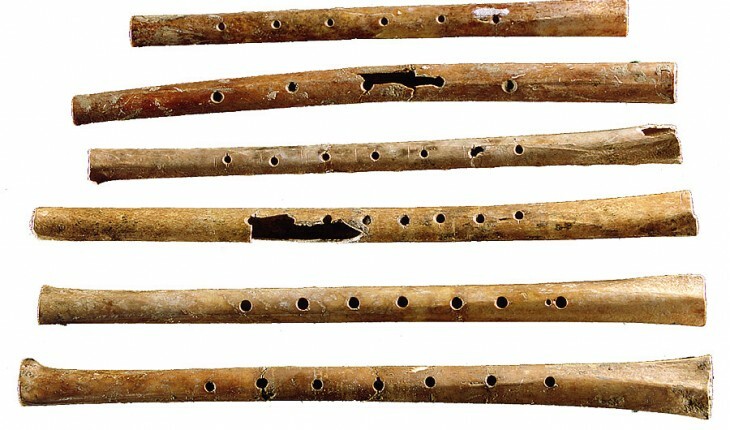 A set of 30 flutes made from hollowed bird bones, dated to 9 Ka. They have between 5 and 8 holes and one of them is still playable. 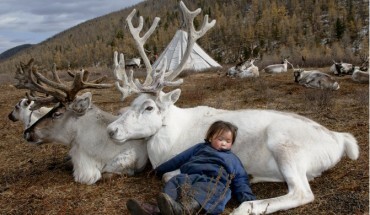 A Photographer Visited A Lost Mongolian Tribe. 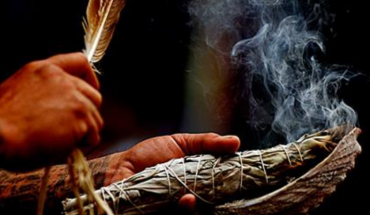 Is There Any Science Behind Essential Oils? 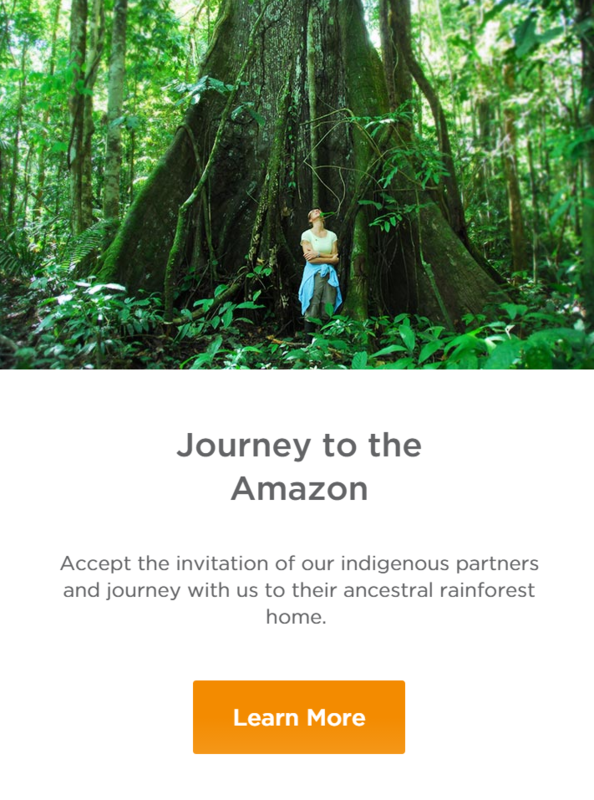 Disclaimer: Some images from this site were obtained from public websites and are believed to be in the public domain, and are believed to be used in accordance with our rights found in the U.S. Copyright Fair Use Act (Title 17, U.S. Code). If you are the lawful owner or copyright holder of any celebrity content appearing here, please contact us and any infringing material will be promptly removed.